Earlier this year, the National Chicken Council submitted a petition to the federal government to allow poultry processing plants to be exempt from line speed requirements put in place for worker and consumer health and safety. 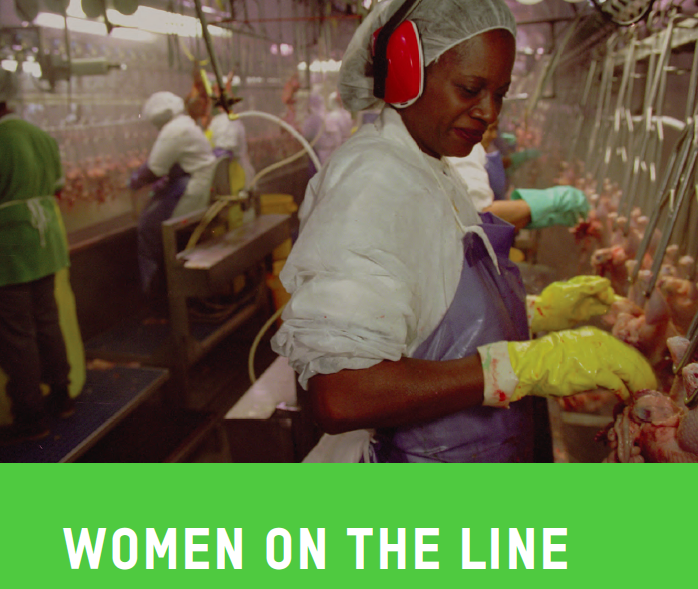 The Poultry Workers’ Rights Coalition has been documenting how these unsafe line speeds (currently up to 140 birds per minute) jeopardize already low-paid and vulnerable workers for years. That’s why A Better Balance submitted comments last week to the Food Safety Inspection Service urging them to reject the petition. “Yes my fingers still hurt from that and sometimes my fingers still cramp up because of how fast we were made to work on the lines,” said Rivas. In submitting these comments, we joined our many partners in the Poultry Workers’ Rights Coalition, like the National Employment Law Project, Oxfam America, and UFCW in calling for the rejection of the NCC’s petition. 2017 has been busy for poultry workers’ rights activists. Earlier this year ABB joined an unprecedented coalition of workers’ rights, food safety, and animal welfare advocacy groups in meeting with top USDA Food Safety Inspection Service officials to oppose this petition to increase line speeds. We also previously submitted comments to the federal government about the harmful use of peracetic acid in plants, particularly with regards to reproductive health. 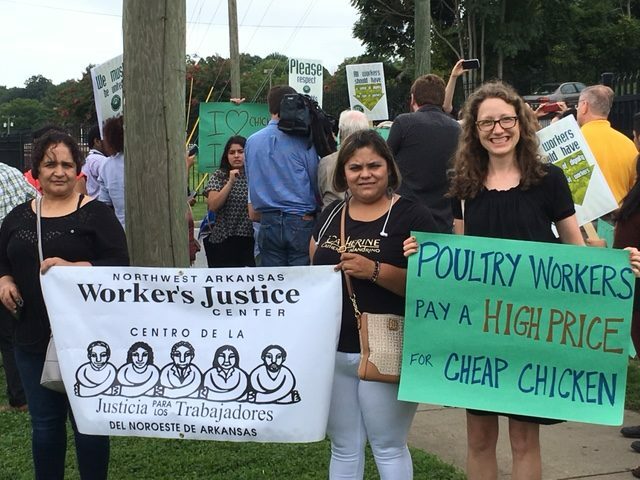 Over the summer we participated in a poultry workers’ rights convening in North Carolina, hearing stories from current and former workers and participating in a direct action demanding bathroom breaks for workers in a nearby plant. We will not stop fighting until all poultry workers are treated with the dignity and respect that they deserve. 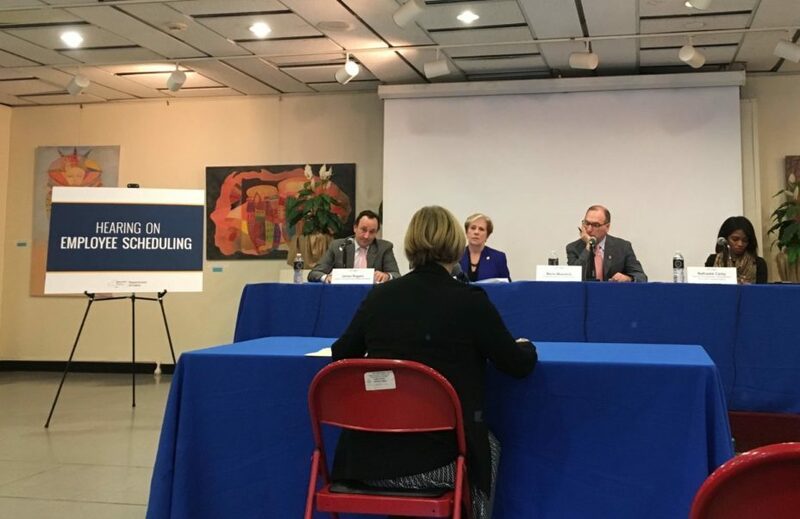 When workers are forced to remain on-call even though they may not be required to work, or when they can be told their shift is cancelled hours before their reporting time, it makes scheduling their own lives impossible. Arranging childcare and transportation is a daily struggle. After many years of advocacy, the Massachusetts Senate passed the Pregnant Workers Fairness Act (PWFA)! This bill will make it illegal for most Massachusetts employers to deny reasonable accommodations to pregnant workers.